Engineering Specialist, INC (ESI) is a metal Stamping company. ESI is in a very competitive industry. The client goal was to increase their metal stamping services leads. It is a huge local and nationwide competition in this industry. ESI traffic has been growing consistently but I need to do more to generate the leads that the client wants. Websites that are authoritative in a topic have more chances to get high ranking in Search Engines. Creating a page that covers a topic completely and having extra resources that explain each part of the topic can help your site to escalate to position #1 in Google. Keep in mind to create great content. I researched the competitors and I created better content on the topic. I knew the steps to follow to get these results. It was a big challenge to earn this position because metal stamping is a very competitive keyword, but with a well –planned and executed SEO strategy. As a result, I put my client in position #1 on Google in a short time without any backlink. ESI has been in #1 for several months. I created a Pillar page with the long tail keyword “what is metal Stamping” and I used as an internal link from the existing related articles that are part of the metal stamping process. I started crawling the site to visualize the content assets. I used screaming frog and I filtered the results by Title. I could see that the website already had many blogs about different parts of the process of metal stamping but it was missing a hub – pillar page to introduce the broad topic of metal stamping and explained it in–depth. Then, I decided to create the pillar page and do it better than any other pages ranking in the top SERP. I have used long tail, User intent, and LSI keywords as sub-headers. The pillar page is the second top page visited on ESI ‘s website after the home page. The page view time has increased almost double the industry’s benchmark. 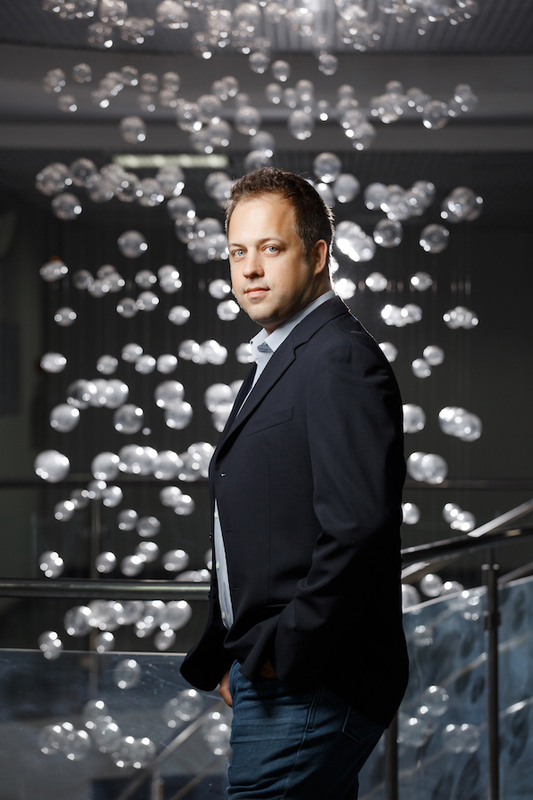 I had the opportunity to interview Oleg Shchegolev, CEO of SEMrush. I could not let pass this opportunity to get to know him better and ask him some personal questions. I am always curious to learn about successful people and the challenges they overcome to become who they are. Talking with Oleg I learned that he and his partner Dimity created SEO quick and after many tests, they realized that people needed more software that is complex. That was the beginning of SEMrush. Now SEMrush is one of the most popular digital marketing tools around the world. Oleg told me that in order to succeed people should embrace afraid and experiment often. This is his key to success. He also shared with me that in Russia the major Search Engine is Yandex. Search behavior in Russia is the same as in the USA; people browse for products and services online. Oleg told me that in the next 5 years SEMrush is planning to add more features that will help with content marketing, local SEO traffic, analytics, etc. SEMrush is currently working in updating the Chinese database so that it is able to cover Baidu searchers. He also revealed to me that the headquarters is now in Chicago and not in Philadelphia. I didn’t know that SEMrush organized a lot of meetups and worked with the USA and European universities in order to give opportunities to students who wish to explore and learn how to use SEMrush. I am fascinated by this amazing initiative because it is a great support for the new tech generation. Oleg thinks that formal education is important but it is also important to be able to learn on your own. Technology moves fast and people that want to be part of the industry should be able to be self-taught. Among the most important qualities of a leader, Oleg considers that intuition, perfect communication skills, and the ability to inspire others are the most important qualities. He said that “leadership is not about personal success, it is about the success of your team”. Oleg’s day starts early. He usually wakes up at 5 am and gets a fresh cup of coffee, checks his twitter, listens to podcasts, checks his company reports (SEMrush). He multitasks all day. He also reads psychology and science books. I was talking with Oleg about diversity and I asked him, what he thinks about gender bias in the industry? This is an important question for me because I am a woman and Hispanic. I am a minority and this topic really turns on my engines. Oleg added that he is aware of the issue but that SEMrush is a company that welcomes people from any race and gender, a company that believes and practices equality. In addition, he told me that 50% of C –level employees in leadership positions are women. He also added that these women are excellent professionals, and they have helped SEMrush to be a leader in the industry. I know many people want to know if websites should implement Amp pages or not. Oleg’s feedback was that Amp should definitely be implemented because it improves website speed and today users are very sensitive to that. I also asked him if he thinks that Artifical Intelligence plays an important role in SEO, and how SEMrush is planning to help marketers. Oleg said that AI will affect SEO but we do not have to worry much about it because AI is as good as the data that it shows. Marketers need to be prepared and be able to adapt to changes. Anyway, AI will not replace marketers for now because as he said before it is all about the data that the AI possess. We also talked about e-commerce and voice search. Oleg shared with me that website content must be optimized for questions and not for keywords or phrases. It is very important to optimize content with questions, such as: where, when, what, etc. Furthermore, talking about Local SEO; it is a priority to claim Google my business and optimize it. Also, to make sure that all the listings and citations are accurate. I also learned from Oleg that as voice search is growing, it is important to use a more conversational language when we create content. A study from Backlinko shows that 40.7% of answers come from rich snippets. Then we should use question keywords in order to earn the rich snippets and be present in voice search results. He also told me that to create content for voice search we must use long tail keywords and user intent keywords. SEMrush Magic toll can help marketers find these recommended keywords. Oleg’s guess about Rankbrain’s next evolution is that Rankbrain will get more sophisticated and it will use AI mechanism. Being able to succeed in the new machine, AI’s challenges will be for the best marketers and professionals. These individuals will be able to provide users the right information. 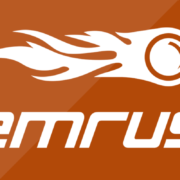 Oleg told me that the most used SEMrush features are the keyword research tool. He invites us to explore more because SEMrush has much more to offer. Early in my digital marketing career, I read something that had a lasting impact on my approach to marketing — an essay published on the Microsoft website by Bill Gates called “Content is King.” Bill Gates is a true visionary. What amazes me is that content marketing has taken many different forms over the last decade or so, but it is still king. 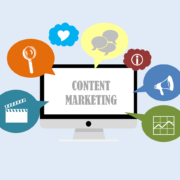 Content marketing is a cost-effective way to bring in a steady stream of new leads and keep your customers coming back for more. That essay continues to inspire me to reinvent my content marketing efforts and conquer them like a champ. One thing that I always make a priority is keeping track of my goals. When I’m not getting the results that I’m looking for, I revisit my original marketing goals so I can reground myself and rework my plan step by step. Do you know who your company’s audience is? If not, you have some homework to do. Send out a survey, create reader personas, ask for feedback and monitor your content to learn more about who needs your products or services. Use analytical tools like Google Analytics and Facebook Audience Insights or review the demographics of your current customers. It doesn’t really matter which method you use, as long as you do something to find your target audience, so don’t get bogged down with semantics. I like to think that I know my company’s audience pretty well, but I’ve also learned that audiences can change over time. Even seasoned marketers need to spend some time conducting market research from time to time to keep their marketing efforts sharp. There’s another reason I like to reassess who my target audience is. Our current clients are already hooked, but I like to continually challenge myself to expand our customer base. In addition, new products and services call for new analysis of the target market. Two very important steps follow identifying your target market. First, you need to be clear about what they need. Second, you need to learn how to quench their thirst for information. To sum up, relevant content is a valuable commodity. Once you’ve acquainted yourself with who your customers are and what they need, you’re ready to establish your marketing goals and objectives. Do you want to spark the interest of your current audience? Do you want to build a new audience? Expand your current audience? Promote a new good or service? Increase brand awareness? It’s important to establish goals and objectives so you know how to move forward. It’s also essential to define successful marketing campaigns. Have you thought about how you’ll know when you have achieved your goals? Think this through before you put your marketing plans in motion. Will you measure it by increased revenue, lower marketing costs, targeted customers or some combination of benchmarks? Unless you are at the starting gate of your marketing plan, chances are good that you have some existing content to work with. Take a hard look at the work you’ve already done and decide whether you can reuse any of it. Can you update past articles to make them more relevant? Can you add to existing content so that it better enhances your brand or becomes more engaging? Can you beef it up by embedding links to products or services? With the basic framework in place, it’s time to build on the cornerstone of your efforts. Determine your main formats and advertising channels and develop an overall marketing strategy. I’ve found that even when my marketing strategy is complete, it helps to leave a little room for experimentation. I like to experiment with a variety of advertising opportunities like sponsored content, social media advertising, infographics and videos. Your marketing plan might include podcasts, e-books, workshops or webinars. Whichever formats and outlets you use, don’t forget to investigate your competition’s marketing efforts to make sure that you’re differentiating yourself. There are a few different ways that you can manage your content marketing and publication schedule. I like to use a master calendar of what I’m publishing and on which outlet. You can control all the posting and publishing yourself or use an app on which you can load your ads and articles and schedule them to appear at specific times and dates. If you’re working with a marketing team, develop a plan for who will be responsible for creating, posting and publishing content. 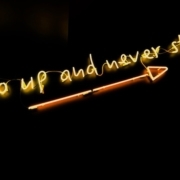 Keep a pulse on how well your marketing plans are connecting to your goals. If you’re not getting the results you want, review your marketing strategy to make sure that you’re following it exactly as planned. You might find that it only takes a few tweaks to get things moving in a better direction. And don’t fret if you’ve made a mistake or two. Learn from them and make better changes moving forward. This is a fascinating time to be working in the field of marketing. Technology has given us so many interesting options to market our brands and attract our target audiences. One of the things that I love most about my job as digital senior manager for a senior home healthcare company is that the services we provide are very personal. Technology is advancing in ways that help me infuse my company’s message of providing personal care into our digital marketing efforts. Blogs are a good start toward educating our audience about the benefits of in-home care, but that isn’t enough. We want our customers to get a sense of caring even before they decide to work with us. and infographics, provide a foundation for building that personal relationship. I have used many different formats of content marketing in my digital marketing strategy, including articles, infographics and videos. Content marketing has helped my company strengthen our brand, earn natural backlinks and increase organic traffic. Modern content marketing repurposes digital marketing. When digital marketing became vogue, it was all the rage to maximize keywords to win top SEO rankings. Today’s content marketing approach ties many forms of digital marketing together in a cohesive way. This concept requires bringing people with many different skill sets together. Our marketing team consists of people who are skilled in production, content distribution, branding, optimization, advertising, social media and analytics. Their combined talents create a synergy that unites our message across content marketing channels. These efforts work together not just to attract our target market, but to actively engage them and interact with them in a personal way. Content marketing involves telling stories that help people relate. Some people within our target audience are looking for information about our services. Scheduling in-home care is new territory for many of our first-time customers. That’s why we post blogs on informative topics, like health concerns, costs and more, to help them reach a comfort level with our services. Our audience also wants to read facts about senior in-home care on the fly and in a succinct format, so I added colorful, well-designed infographics to our content marketing plan. Infographics are eye-catching and jam-packed with useful statistics that keep potential clients engaged and wanting to learn more. One of the hottest new trends in content marketing is short, informative videos. This is one of the best ways to establish a personal connection with your audience. Through our videos, potential customers see people who are the same age and in the same stage of life. Our videos demonstrate to them that they are not alone in needing a little help or in asking for help for a loved one. Videos engage our audience because they get to see the types of services that we provide in action and how they provide a sense of comfort, help and relief to our customers. Our goal is to create a beautiful picture of how helpful our services could be for them. Video is also a good format for sharing testimonials. If your existing customers are willing to share the positive experiences they’ve had, include their testimonials on your blog, infographics and website. Content marketing successfully delivers our message of caring for people across multiple digital marketing channels. Through collective and consistent messaging, our clients learn that they can trust us to deliver the personal care that our branding projects. Content marketing is getting smarter. As a digital marketer, keep a pulse on new trends in marketing, especially regarding artificial intelligence, Siri advancements, virtual assistants and the Internet of Things. The future of content marketing is sure to be even more interactive. I’m continually seeking new and innovative ways to use technology to enhance my company’s branding efforts. Content is a base that marketers use as inspiration for other marketing vehicles. Content in a written format is no longer our company’s entire platform. It’s an integral part of our expanded platform. I consider written content a springboard for developing other forms of digital marketing media. The challenge is taking the best parts of written content and learning what other media formats can take it to the next level. For example, we use much of the same content in our free, educational blog posts as we use in our ebooks. We may highlight the value that our service brings in other formats like infographics and video. The overall results bring the highest level of communication and engagement to our brand. Moving from digital marketing to content marketing is only the first stage in marketing strategy. Advancements in technology will guide the direction of the next phase of content marketing. As a dedicated marketer, I’ll be on the lookout for the skills that our agency needs to keep our marketing efforts fresh and relevant. One thing that won’t change is my commitment to content marketing that keeps our target market connected in personal, caring ways. Marketers are always looking for strategies to gain top rankings in search engines. Just when you think you’ve tried every keyword and linking strategy known to man, the search engines change their algorithms. You find yourself going back to the drawing board to beat your competitors with a new strategy. The latest algorithm updates put a new spin on SEO ranking. Keywords and linking are still relevant, but SEO is evolving and favoring a new model called topic clusters. Using topic clusters requires new ways of thinking about SEO. It also requires changing the architecture of your content. Search engines keep changing because consumer behavior keeps changing. Technology is evolving, and consumers are evolving with it. They’re learning how to use it, which also means they are expecting more from it. For example, people are no longer putting the word “housekeeper” into the search box. They’re more likely to input a sophisticated phrase, such as “find me a reputable and reasonably priced housekeeper in Boston.” The customer will be looking for results that are accurate and relevant. Every time there’s a change in consumer behavior, search engine developers get busy redesigning their algorithms to match consumer behavior. The Google Panda update in 2011 forced digital marketers to stop overusing keywords and start producing quality content. Some marketers thought that the Hummingbird update was the official switch to changing SEO patterns because it focuses on phrases rather than keywords. In 2015, the RankBrain update broke the mold with a machine-learning algorithm that could understand phrases in search queries and put them together with the customer’s intended context. Google picks up multiple phrases and keywords from past searches on similar topics. In this way, the search engine “sees” what the consumer is looking for within the intended context. According to HubSpot research, after the RankBrain update, websites that had greater numbers of interlinks got better placements in search results. Sites with a lot of interlinks also got more impressions. Using topic clusters creates many interlinks. This new marketing strategy tells the search engine that you’re an authority on the subject because you have the highest quality of content, and it links to many other pages of high-quality content on the same topic. I like to think of topic clusters as spokes on a wheel. A single pillar page acts as the main hub. Our pillar is in-home care for seniors. I set up several subtopics, such as senior care costs, quality senior care, care for Alzheimer’s and memory loss, etc. These topics form the center of the hub. Then, I expand on each topic with many more articles, linking each one to the center hub and to the others. A content hub about in-home costs for seniors might include interlinked articles about how much in-home care costs, how families fund it, how to blend family caregiving and professional care, and more. I then do the same with the other subtopics to create cleaner, more streamlined content architecture. These topic clusters signal to the search engine that my company’s website covers our industry with a wide lens. It tells them that we’re a leading authority on in-home care. The result is that they’ll reward my efforts with a higher ranking. Try to keep the subtopic broad enough that you could easily add 30-40 posts on topics related to it. The topics that you add to the subtopic hub must have some type of connection. Each subtopic should cover one area of knowledge related to your industry. The interlinking topics connected by spokes (links) take your audience into greater detail. Put solid thought into your subtopics. Are there any topics that you need to compete with other companies over? What do your customers need to know more about? Map out the problems that you know your customers have, and create subtopics around problems that you can help solve with your solutions. Take a look at your frequently asked questions to spark your imagination for even more topics. If your customers are asking the same questions, you need to create content to answer them. Using topic clusters doesn’t mean that you should forget about other marketing strategies like keywords. I still use them in the content of the articles I create and add to the subtopic hub. Give yourself time to create new clusters for topics. A helpful resource for creating your new content architecture is to repurpose and revamp existing content. After it’s been on the web for a while, you can measure the results and restrategize if necessary. Developers are also taking a look at how new tools can help website owners analyze and master cluster topic strategies. As a marketer, I look forward to these resources. Each new Google update sends me and every other digital marketer back to the drawing board to re-strategize on how to use keywords and content to get the best traffic. The sophistication of Google’s algorithm rises to new levels with each update, which presents interesting challenges for marketers. I’m always up for the challenge, and the latest update was no different. Some things at Google haven’t changed much at all. Its algorithms are still interested in SEO and keywords. Numbers, which have always held a crucial place in my marketing plans, are also still an important part of its algorithms. My strategy places a unique focus on SEO as it relates to user intent. “User intent” is a term that gets the strategic wheels turning in my head. 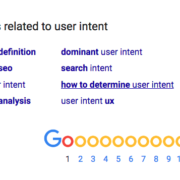 So, what is user intent? Obviously Google’s algorithms aren’t smart enough to read a user’s mind. The search engine is smart enough, however, to figure out how to get behind the categories of user intent. I recognized two categories of user intent and SEO that helped me revise my marketing plans accordingly. Thinking about some of the idiosyncrasies of the English language helped me understand user intent and SEO. We can’t always take words at face value unless we know the proper context. For example, what do you think of when you hear the word “jam”? Were you thinking of this morning’s traffic jam? Maybe you jammed your toe in the door, and you’re still feeling the pain. Perhaps you packed a delicious sandwich for lunch with peanut butter and strawberry jam. If a user puts the word “jam” in the search box, Google wants to know which context the user intended. Typically, users are looking for information based on the keyword, or they’re just looking for general information on the topic. When the word “jam” appears by itself, Google has to find a rating in terms of how it meets the needs of the user. That rating falls somewhere between “fails to meet” and “fully meets.” The search engine would likely pull up queries regarding all three meanings because“jam” is an ambiguous word with multiple meanings. Google’s rules won’t allow this word to be “fully met” under these circumstances. Do, know, go is the user intent that Google tries to uncode. Search words can indicate that a user wants to make a transaction or do something — book a hotel, buy a book, find a job or buy a jar of that amazing strawberry jam. In my experience, users who search for something they want or need use their mobile devices about half the time. It’s common for them to do some online searching and finalize the transaction later on a desktop or laptop. Google picks up on the idea that a lot of mobile users are just doing preliminary browsing. Other words tell the search engine that users want to know something in real time. They are information words. For example, what time is it in another time zone? When does the store close? What time will the train arrive? When will that traffic jam lighten up? Google often puts know-something posts at the top of the page in position zero, giving users some of the information they’re seeking without giving it all away. Position-zero posts might give you an idea of traffic flow at a certain destination, but you have to click through to find the state of the traffic in real time. If people aren’t looking to do something or know something, they know right where they want to go — online, that is. They know enough to tell Google almost exactly the type of site they’re looking for. The user with an aching toe is going to tell Google they need to go to a site that tells them how to make it feel better. Voice activation is starting to play a big role in go searches. The general public is just getting acquainted with Siri and Alexa. As more people gain familiarity with voice activation, and as voice activation becomes more sophisticated and translates more accurately, technology will make it easier for Google to identify go searches in addition to do and know searches. Moving forward, be strategic about ambiguous words and words with multiple meanings. I’ll still be optimizing my content for keywords and SEO. I’ll just be selecting my keywords from the perspective of user intent and considering the impact of do, know, go. Google updates and data analysis will tell me when I need to modify my strategy. Many facets go into a marketing strategy, and that’s what makes it so interesting. Marketers need to think about who their clients are and what their online search and shopping habits are. They also have to keep a keen eye on the competition, create similar angles that are better than the competition or break out of the box and do something completely different. Factoring all of those issues and more, marketers have to accomplish their marketing strategies using the funds and resources that are available to them. For smaller companies, the term “marketer” is often loosely applied to a company owner, employee or intern because of budgetary constraints. Some companies don’t even have the funds or technical wherewithal to put up a company website. Others create a simple, no-frills website and spend little or no time updating it. A basic website is better than no website at all. Small companies with small budgets don’t need to break the bank to advertise online. 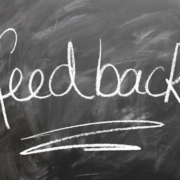 A few great reviews, written and posted by local customers, go a long way towards helping new customers find your business among the local pack. Get acquainted with Google My Business. 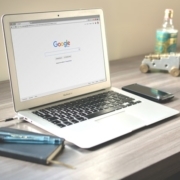 Your business can get some attention online, even if you don’t have a website, as long as you’re willing to take a few minutes to complete a Google My Business page. Google has done you the favor of setting up a blank template of a page that you can easily customize for your business — for free. Google My Business is a user-friendly template that lets you add your company’s name, address, phone number, fax number, email address or other contact information. Your Google My Business page will enable your customers to call you right from the site and give them directions to find you in person. When you’ve got new and exciting information or events to share with your customers, you can easily edit the page and let your customers know about it with a few short paragraphs and some images. Business owners that have any amount of marketing know-how can also take advantage of linking, keywords, alt tags, meta descriptions and other search engine optimization (SEO) strategies. Most importantly, your customers can leave a review on your Google My Business page. Whether the review is positive or negative, it gives you the chance to connect with them to thank them or offer to turn a negative experience around. Google My Business has an easy-to-understand section called “Insights,” which tells you how your customers found you. The platform can increase your business’s ranking, even if you don’t have a website or have one without many bells and whistles. Reviews mean a lot to business owners — and Google loves them, too. Local SEO Guide conducted its annual study of local SEO ranking factors and found that customer reviews were big players in search engine ranking for local search. The study analyzed more than 200 factors as they related to 100,000 businesses. The study also looked at other factors that help local businesses rank well. It found that local ranking factors are highly connected with organic ranking factors. Businesses that ranked well in organic searches also showed high in Google’s local pack. This leads me to believe that businesses can rank well in local packs even when website owners or marketers aren’t taking advantage of SEO strategies, like keywords and linking. Exactly how do reviews correlate to local search? What we can learn from this is that smaller companies may think that they can’t have a huge presence online, but a Google My Business page with lots of positive reviews on it can change all that quite nicely. Google will see lots of reviews on a Google My Business page, indicating that it is a local business that does well and has a great reputation with local customers. Essentially, Google uses crowdsourcing to tell it whether a site is a company with a strong reputation. Google has a specified format for reviews, so that customers know how their review will appear. The tools for Google My Business make it hard for spammers to get in on the action and damage the customer’s reputation. If they get through, Google will crack down on unscrupulous spammers and hackers. Quality and quantity matter equally in reviews. The Google search engine takes a look at what reviewers are saying before making a judgment on rank. Google gives special attention in the local pack to reviewers who mention any of the keywords or the name of the city where the business is located. I’ve noticed that websites that have high-quality link profiles nearly always rank well in local search. I’ve also noticed that sites with few or no links, and those that have poor-quality links, also rank well in the local search pack if the business has good reviews on Google My Business. Here are a few final clues about local reviews. Creating a website should be the highest priority for companies that don’t already have one. Website platforms are relatively easy to set up. Many templates have automatic updates, so some of them require little or no maintenance if that’s what you’re looking for. With or without a website, ask your best customers to rate and review you on your Google My Business page. Encourage them to mention your services and your city. With Google picking up the cost for the site and you putting forth some effort of your own, new clientele may be clicking and calling because they loved what other locals said about you. Paid advertisements have long been a staple of the marketing industry. Advancements in technology showed us how to organize content so that potential customers could more easily find our offerings on the world wide web. This began the great debate of whether it was better to attract customers by educating and enlightening them or by splashing attention-grabbing ads where they couldn’t miss them. In my career as a digital marketer, I’ve learned the pros and cons of search engine optimization and pay-per-click through experience. Marketers can use both for any type business if they master one important concept — understanding why they need to put more effort and resources into one rather than the other. SEO and PPC can complement each other nicely. Are you marketing a product or a service? How well-established is your business? I’ve found that answering these questions are good places to start when making decisions about which marketing approach is likely to be more effective, or whether you need to use some combination of both. This is when it helps to go back to Marketing 101. Are you clear about who your target market is? Where will your potential customers be looking to find the products or services that you’re offering? What words would you type into the internet search box if you were looking for the same product or service? PPC tends to work well for companies that are offering products. Paid ads also work nicely when you have a new angle or new use for an existing product or service. When paid ads are designed well, PPC helps attract new customers quickly. PPC puts your brand front and center right at the top of your webpage. Google will typically show four paid ads on a desktop. Mobile apps leave room for three paid ads topping the page. Paid ads give you a lot for your money because they give you room for a brief written description and a few “sitelinks.” Sitelinks are subsections of your ad that will take your customers directly to a page on your website for locations, specials, blogs, news or your about page. PPC ads also allow you to select your target audience by day, time, location, language, previous visits and other important parameters. You need to keep a tight handle on your budget when using PPC. Many clicks are bound to bring you new business, but they can also waste your budget. I’ve found that it’s important to set a realistic budget for paid ads and monitor them often. Another nice thing about PPC is that analytics make it easy to see whether your PPC ads are effective in real time. Getting quick feedback helps me make decisions about pulling ineffective ads. It also gives me an opportunity to increase my budget for ads that provide a strong return on investment. 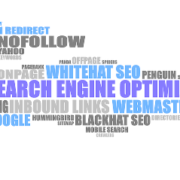 I tend to use SEO as my primary marketing tool. That’s because I’ve found that SEO works extremely well for our business, a senior home care company, as well as companies that are primarily service oriented. Over time, I’ve worked diligently to build a strong brand within my company. My current goal is to keep the brand in front of our target market. I want to establish Caring People as the authority on home health care and continue to build trust and credibility in our brand. Organic searches deliver greater volume to our website than paid ads. SEO is the most cost-effective strategy for us at this time because content is working great for us. I believe that SEO offers a better value for the home-care industry because we offer personal services. Our customers want to know more about our company before they’re willing to invest their money in our staff. Articles, reviews and positive testimonials are the key to getting clients to make that first call asking for more information. Despite the fact that SEO takes center stage in my marketing plan, I still regularly manage a medium PPC campaign. I’ve found that adding PPC ads to my marketing strategy adds enough spice to our efforts to draw in some new clientele. I use PPC at various times to highlight certain campaigns or to tie our services into current events. For example, this year we had a huge marketing campaign for National Grandparents Day. In using SEO and PPC together, we get more clicks overall. Greater numbers of clicks lead to conversions. As a rule, PPC tends to work better for e-commerce companies. SEO tends to work better for services businesses that want to keep their brand visible while getting new clients. PPC can strengthen your SEO efforts nicely and vice versa. Of course, there are always a few exceptions to the rule. 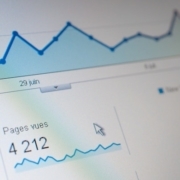 After SEO and PPC, monitoring and analytics are your next BFFs. What exactly is Anchor Text? Anchor text is basically the text in a hyperlink that is usually underlined and blue and is clearly visible for you to click. The Anchor text can give visitors and search engines important information about the links destination as well as its content. What search engines do is they use anchor text that comes from external sources as a way to measure the way others view your page and the relevance it has. Despite the fact that as an owner it’s hard for you to control how other sites will link to yours, it’s still crucially essential to use anchor text in your own site that is relevant, descriptive and useful. Below you can see a target link along with an anchor text. Exact match: An anchor text is considered an exact match when it uses keywords that are the same as the page that it is linked to. For example, if we have ‘seo writing’ linking to a page that covers everything about SEO writing. Partial-match: This is the case when there is a slight change or variation to the keyword that is being used. Such can be the case when using ‘seo writing strategies’ when linking to a page about SEO writing. Branded: This is when a brand named is specifically being used as an anchor text. Let’s say ‘Nike’ linking to an article in the Nike website. Images: If an image is linked, then Google will use the alt attribute on the image as the anchor text. When it comes to SEO, it’s always good to keep in mind the best practices not only to help the page get a better rank, but also to avoid penalties for over optimization. Therefore there are certain guidelines when it comes to best practices for applying SEO-friendly anchor texts. Good SEO anchor text is succinct and completely relevant to the page it’s linking to as well as avoiding keyword-heavy text. First of all, what is the most accurate and succinct way to describe the page you’re linking to? What phrase or keyword can you choose to get users to go ahead and click on the link? It’s important to highlight at this point that this is where we must consider Google’s Penguin algorithm update. This is because with this update, Google started to closely analyze keywords in anchor text. For example, if a sites inbound links contain the same anchor text, it may give the impression that the links are not natural. Of course, it is important to use keywords in anchor text, but this must be done wisely using different strategies to avoid being penalized by Google for over optimization. Therefore SEOs will benefit from using a wide variety of anchor text phrases instead of overusing the same keyword. Most importantly, when linking internal pages together, it’s best not to over do it with keyword-heavy anchor text. Google might find this as spam, thus risking they way your page would rank. However, to go deeper into Anchor Text, it’s best to analyze how Anchor text is used after the Penguin Algorithm. Long gone are those wonderful days in which you could go crazy with your anchor text. Back then you could perfectly use exact match anchors for your backlinks and you’d rank. But that was the main reason why Google had to change the algorithm. In the beginning, the first Penguin update (2012) was the first major change that Google made to stop users from over optimizing and saturating their backlinks with anchor text. Penguin aimed at websites that were using spammy link building in an attempt to cheat the search engine. But how exactly did they know if a website was building spammy backlinks? The user builds a backlink. The backlink is then indexed by Google. This new backlink is put into a database for your website. This is commonly known as “link profile”. This process repeats itself thus creating a link profile that is easily analyzed by the algorithm. So remember. The formula to get a Penguin penalty is having an exact match anchor text along with keyword rich optimization. As long as you stay away from this kind of link building you’ll be fine and your page will benefit from it. But what exactly can you do to avoid getting penalized and still rank? The answer is simple. There’s a When and a How when using keyword rich anchors. While there are different views in terms of the percentage of the type of anchor text that should be used on your profile, one thing still agreed on by all SEO specialists. Which is the importance of branded anchor text? If you don’t have a branded homepage profile, then a smaller mistake can result in huge penalization. Aside from the fact that this will definitely make your page difficult to rank, you’ll notice that your ranking will fluctuate daily making it difficult to maintain the proper relevance you desire. But following the best practices mentioned here will help you rank safely. You can create natural inner page links with a branded anchor text despite your high margin of error. Once you’ve gotten this part clear regarding the importance of using the brand in an anchor text, the question is, what exact percentages of anchor text should you use to rank your target keyword? Of course, this is a general overview of how to break down your percentages but it can help to do further research depending on your industry. SEO is constantly changing and Google’s algorithms are getting smarter as AI is being introduced into almost everything nowadays. Although backlinks are important for ranking your website, this has to be carefully done. It’s not smart to just simply have any backlink sending traffic to your site. This is because traffic coming from low authority websites will be considered by Google as spamming links and unethical practices. Thus turning your optimization efforts counterproductive, not to mention, the penalties incurred for not taking this into more consideration. The best practice is to earn high-quality links from truly authoritative websites. And though this may take more time, it’s definitely better to have 2 to 3 links from good websites than 30 from low authority websites. As in everything else, an investment of time and effort is necessary to help your site rank superbly. Although there is no limit regarding anchor text length, it’s still vital to keep your link text succinct. First, it is important to accurately describe the page you’re linking to. So for example, if you’re linking to “SEO writing best practices”, think of the best and most concise way to describe the page, while avoiding exact match anchor text. A good way of doing this for this particular case would be “Great SEO Writing Tricks”. A Second and final thing to consider are the words and phrases which will attract users to click. Despite having an accurately described page, readers may simply ignore the link if it doesn’t catch their attention. So this is important to consider if you’re trying to drive traffic to your page. When it comes to building anchor, accuracy is important, but also attractiveness. You want to entice your readers to click on the link, and using the right words will achieve this ultimate goal. Whenever you are building an anchor, always try and figure out how you can entice readers with your text to ensure that they click on the link. Another important consideration when working with anchor text is the relevance of the other anchor text. In other words the relation of the topics on both pages. Therefore if your article is about “SEO Writing Basics” but you link to “SEO 2018”, then the anchor text would only have a medium level of relevance. If you were to link to something with a title like “Cat Toys”, then your anchor text would have low relevance. Therefore search engines are constantly cracking down on low relevance links. Obviously to avoid spamming links. Long gone are the days in which bloggers could include links to irrelevant sites for some extra pay. With Penguin, all of that has changed. Which has improved the quality of the content on most websites and the internet overall? Another way in which beginners affect their website ranking negatively is by building a link profile that depends on top level pages. They design their anchors to link to irrelevant sections of pages such as the homepage, contact, and product page. In the end, this results in an unnatural link profile. Instead of doing this, it’s better to link to relevant content. This can’t be stressed even more in this article. But relevance is the key! Linking to archives, relevant pages, or pages that are deep in your website can result in positive ranking and improve it considerably. Beginners tend to make mistakes in focusing all their inbound link anchor text on one specific keyword. This will result in an unnatural link profile and result in a penalty. That’s because it makes no sense that all your links would include keyword rich anchor text every time. here are better ways to do this. So for example, instead of using “SEO writing basics”, you could use, “the most fundamental skills for SEO writing” Therefore you spread out your anchor text in a way that will seem more natural and avoid making Google suspicious of your optimization efforts. Best Practice 7: Be careful who you link to. Google pays a lot of attention to the websites you link to. This is known as Co-citation. While it is common knowledge that the authority of the websites linking to your content plays a pivotal role in determining your search engine rank, Google also takes into account the websites that you link out to. This is a relatively new principle known as Co-citation. This is when a website uses two different online sources creating an algorithmic relationship between them. Therefore it’s better to avoid linking to spammy websites. A better approach would be to naturally build high authority backlinks focused on small niches. Be aware of linking to spammy websites. Even if they are offering to pay highly for it. The return, in the long run, will be greater. It’s important to create a healthy link profile. It must be clear and natural. But this doesn’t mean that you just let the web decide where you rank. Instead, your focus should be to have your link profile follow Google’s white hat approved methods. Web Page Optimization- How to perform it? Web Page Optimization is the process of optimizing the web page of a website. It helps in getting pages indexed on Search Engines. Be aware of the following when you are optimizing Web Page because this things play vital rule for On Page Optimization. These tags are the elements that define what your page is about. Title Tags contain your main keyword. Furthermore, it will be used for Search Engines to show in SERP. Title Tags talks about your page by using few words. It is also display as a top of the browser, or name of the tap. Title tags are commonly used for social media shares to provide information about the page. Is the description of the Title Tag. It is shown in the SERPs. Meta Tags give a better idea of the content of the page. Use your keyword in your Meta Description to improve SEO. Meta descriptions have maximum 160 characters. If you write more characters than 160 it will be cut and don’t make sense to people in SERPs. This step is a must for Web Page Optimization. Optimize your web pages URLs for better ranking. An URL rich in keywords related to the content will definitely improve the Content Optimization. It will also help the Search Engine to find better your content. This is very helpful for Web Page Optimization. Visuals are very attractive for consumers. Many people don’t want to read a long blog, but they can get a huge referral through a image/picture. A good picture talks more than one thousand words. As a consequence, the use of images is a must in a website. The images have to be optimized by using Alt Tags. As the image above shows it is important to use Alt Tags that are related with the content. The Alt Tag provides not only what about it is the image. It also provides size. If you don’t use Alt Tags, Search Engines will never find the image because images are difficult to be read. Images are the favorites of consumers; don’t lose the opportunity of ranking your website through your optimized images. Today; It is easy to reach the audience by using videos. First, create a video channel; it can be done in YouTube, Vimeo etc. Then embed video in channel and optimized filling with a good title, description, and keywords related to your page content. Check it out this interesting article about Video Optimization for SEO. Last but not least you can optimize news. Submit your blog or press release to Google News. They will review your content and decided if has the requirements. 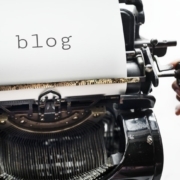 Well written and optimize blogs have a great impact on SEO. Likewise, Pay Press released can increase your visibility in the majors search engines in a significant way. https://karinatama.com/wp-content/uploads/2018/06/web-page-optimization.png 239 500 admin_karina http://karinatama.com/wp-content/uploads/2018/11/Logo1Karina.jpg admin_karina2018-06-28 05:34:372018-11-17 09:46:47Web Page Optimization- How to perform it?